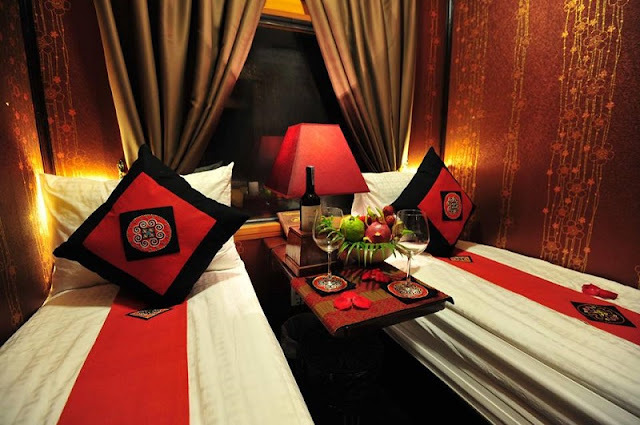 The Ha Noi Railway Transport Joint Stock Company is running an additional SP7 train on the Ha Noi - Lao Cai route every Friday to serve the increasing demand of tourists. According to a representative of the company’s branch in Lao Cai, the train ran on March 9th with 274 passengers. It departs from Hanoi at 22h30 and arrives in Lao Cai at 06h30 of the following day. Aiming to create opportunities for tourists, it also cooperated with a transport company to carry passengers from Lao Cai to Sa Pa and vice versa by car. The price for the whole route is VND40,000 higher than the normal ticket. Currently, there are four trains running on the Ha Noi - Lao Cai route and vice versa every night, carrying an average of 400-500 passengers and reaching even double that on weekends.